Thus begins Barbara Kraft’s memoir, Anaïs Nin: The Last Days. With her sometimes loving and sometimes raw prose, Kraft has captured the humanity, mortality, and essence of one of the twentieth century’s most celebrated and yet mysterious literary figures. Anaïs Nin, noted for her diaries and erotica, was at the height of her fame when she took on Barbara Kraft as a writing student. Quickly, the two became intimate friends at the moment when both would encounter tragedy: Nin’s terminal cancer and Kraft’s impending difficult divorce. The circumstances created an environment of interdependency: Nin, despite her failing health, supported Kraft’s writing and life decisions, and Kraft became a devoted and untiring part of Nin’s support system during her last two years of life. The very personal events in this book will resonate with anyone who has gone through terminal disease or knows someone who has. So, like Nin herself, the raw reality of Anaïs Nin: The Last Days becomes symbolic, mythical, and universally inspirational. Anaïs Nin: The Last Days is currently available on Amazon: http://www.amazon.com/Anais-Nin-Last-memoir-ebook/dp/B0066DJNT4/ref=sr_1_1?ie=UTF8&qid=1325620566&sr=8-1 and on Smashwords: http://www.smashwords.com/books/view/105317 and Google Books. It is also available directly from iPad (through the iTunes store), Nook, the Sony Reader, as well as other Kindle-friendly devises such as the iPhone and is available through nearly every credible device worldwide. 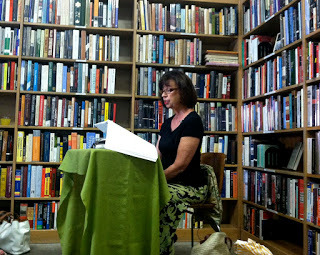 A friend just posted us about this reading of Barbara Kraft’s amazing memoir Anaïs Nin: The Last Days last weekend. 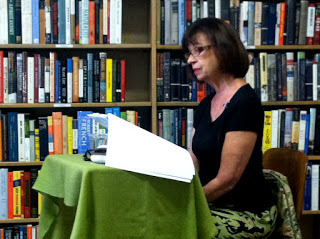 ALIAS BOOKS EAST READING– Sunday, August 19, 2012 at 5 p.m.
With her sometimes loving and sometimes raw prose, Barbara Kraft captures the humanity and essence of one of the twentieth century’s most celebrated literary figures, as she reads from her memoir Anaïs Nin: The Last Days.